Jaipur, the pink city | Hello World! 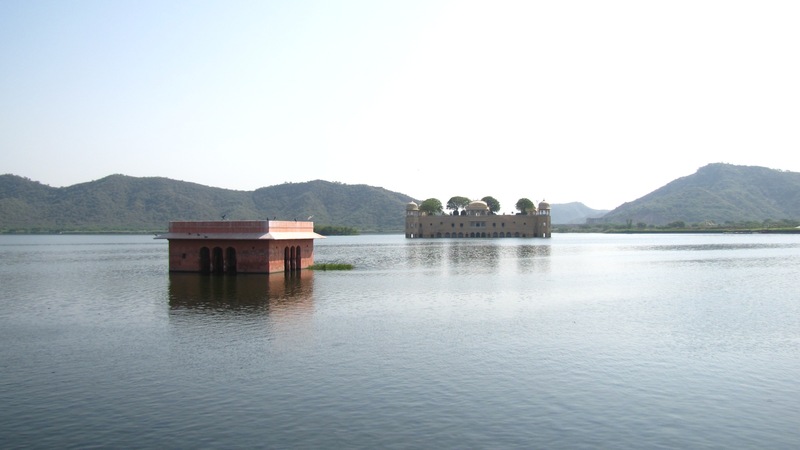 The creation of Jaipur has been decided by maharaja Sawai Jai Singh II, ruler of Amber, at the beginning of the 18th century. It’s the first city in India to have been conceived by an ubarnist. Inside the walls of the old city, most of the buildings have been built in pink sandstone, and the other painted in pink, which gives it a very special touch. 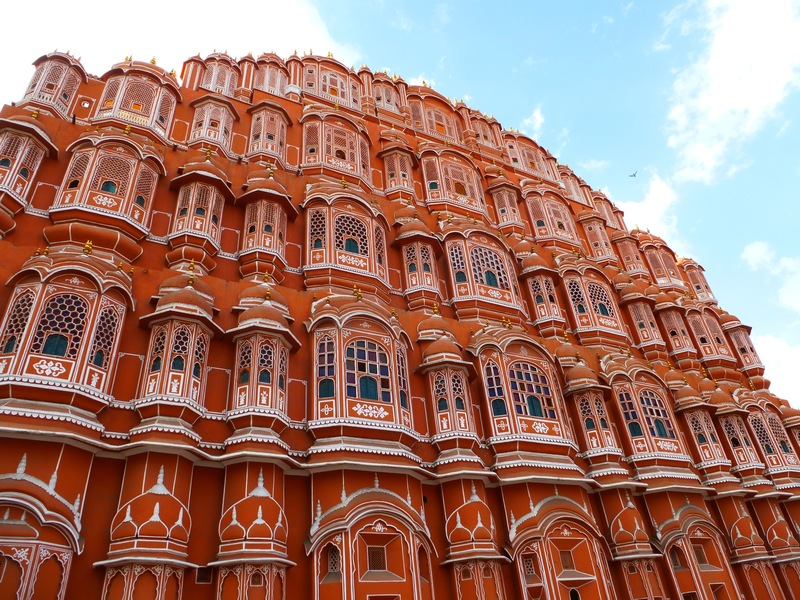 Hawa Mahal, the Wind Palace: a palace so thin its largest part is only 3 or 4 meters wide! It was created for the women of the harem to observe the street without being seen. 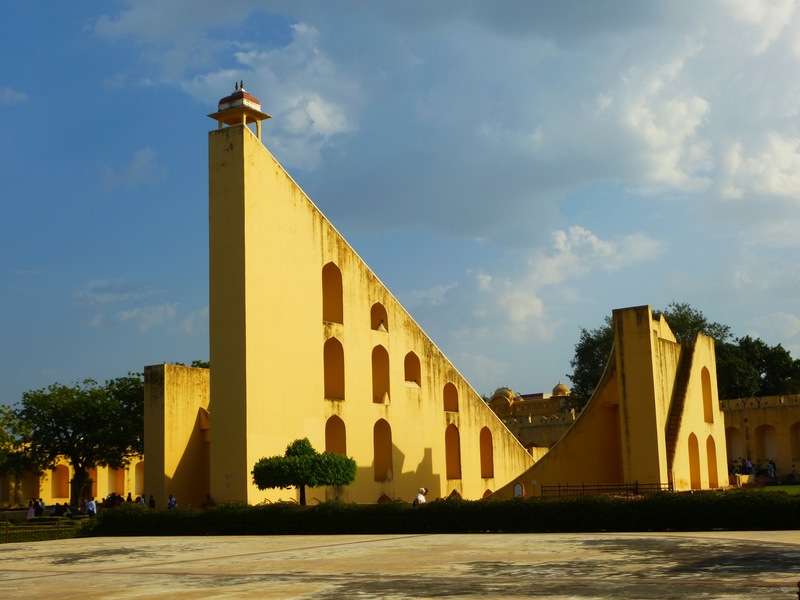 Jantar Mantar: maharaja Sawai Jai Singh II was passionate about astronomy, and design or had built a number of huge instruments to make all types of measures. One of the instruments. Yes, it’s a real-sized try next to it. 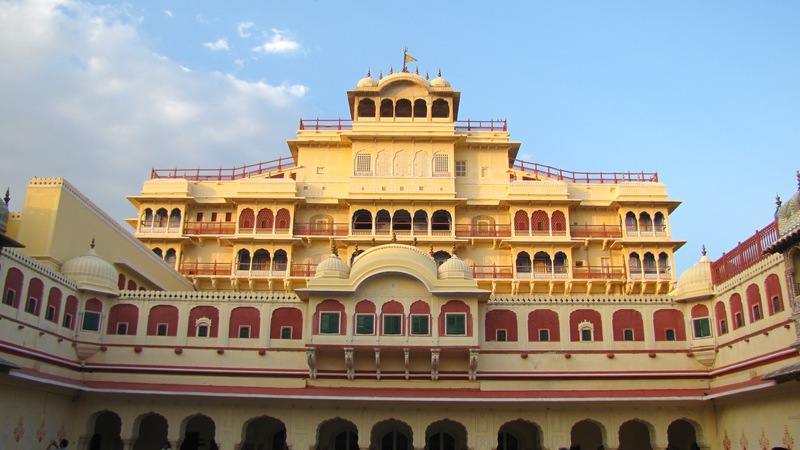 The maharaja palace: the Jaipur maharaja is the richest and most powerful maharaja of Rajasthan. Much of its palace is still private, as he is still leaving there, but the part opened to the public shows a little bit of the opulence of his family. We spent the night in the “new” part of town, outside of the walls surrounding the old town, which is a bit like Delhi, very agitated with crazy circulation. Not our favorite rajasthanise city. 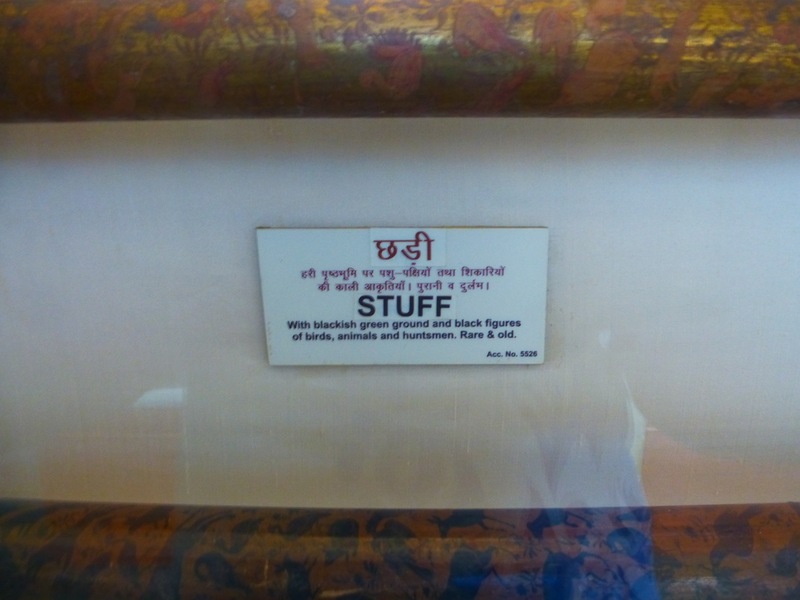 Bonus: “rare and old stuff” from the Albert Hall Museum. Thanks museum!